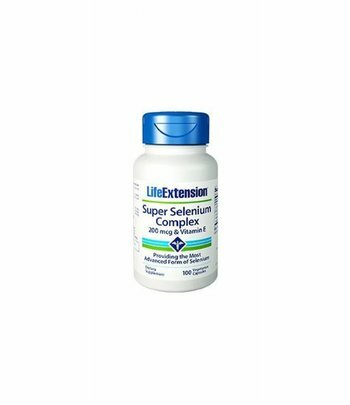 Life Extension Optimized selenium support with three forms of selenium Sodium selenite, L-selenomethionine and Selenium-methyl L-selenocysteine. 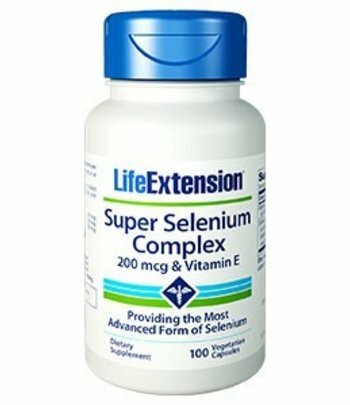 Life Extension® has upgraded Super Selenium Complex with a new selenium blend that combines all three of these unique forms of selenium. A small amount of vitamin E is included. Selenium also supports normal thyroid and immune function in healthy individuals. 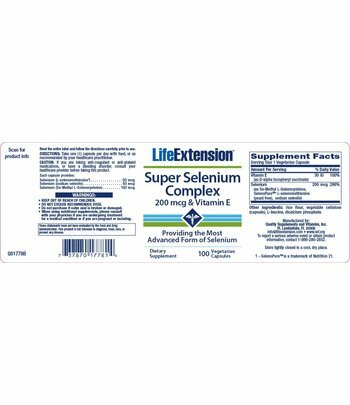 Super Selenium Complex is a dietary supplement that falls into the category of minerals. 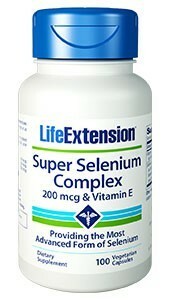 Suggested daily intake is one (1) capsule with food or as directed by your medical practitioner. If you are taking anti-coagulant or anti-platelet medications, or suffer from a bleeding disorder, please, consult your medical practitioner first.